A police watchdog has been asked to investigate the discovery of surveillance equipment in a van driven by a prominent dissident republican prior to his murder. The developments emerged during a preliminary inquest hearing in Belfast. A full inquest hearing into the 43-year-old father-of-six’s death had already been adjourned earlier this year to facilitate a probe by the Ombudsman. More details about the family’s complaint to Ombudsman Dr Michael Maguire were revealed to Coroner Patrick McGurgan on Wednesday. 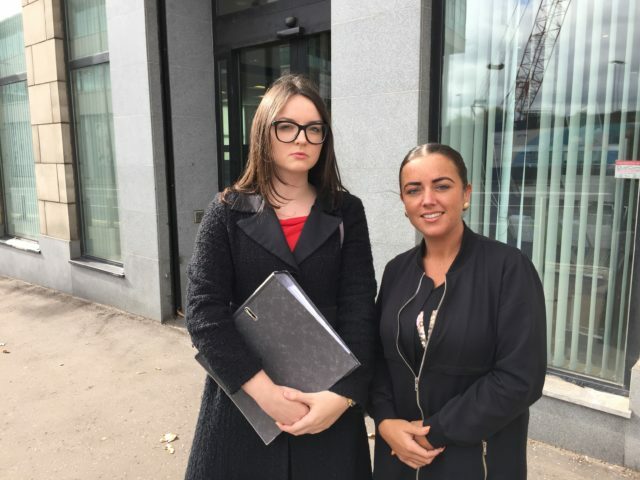 As Mr Crossan’s daughter Debbie watched on in court, her barrister Stephen Toal told the corner the family had concerns about the extent of the police’s prior intelligence before the shooting. “The family is aware that the van the deceased was driving immediately before the murder was found with surveillance equipment,” he said. Mr Toal said the family was also concerned the police were withholding information related to past threats on Mr Crossan’s life. “The family is also deeply suspicious about the multiple death threats in the years leading up to the murder and that the police had more knowledge of the likelihood of the murder than what has been disclosed up to this point to the family,” he said. A previous inquest hearing had been told that Mr Crossan’s family had also asked the Ombudsman to probe claims that a man whose hand print was allegedly found on a getaway car was not arrested. On Wednesday, Mr McGurgan expressed surprise at the latest turn in the case. “Some of this is news to me this morning as well,” he said. Mr Toal said due to “resource” issues within the Ombudsman’s Office, the investigators had not yet accessed police files related to the case in order to commence its substantive investigation. The coroner expressed concern at the length of time the Ombudsman’s inquiry could take. “Is this going to be one of those ones where it’s ‘how long is a piece of string?’” he asked. “I don’t want to rush to the finish line without jumping all of the hurdles,” he said. “I don’t want this to drift,” he said.